An inmate at the Manus asylum seekers detention centre in Papua New Guinea. Credit: Australian Department of Immigration. SYDNEY, Jan 30 2013 (IPS) - Papua New Guinean opposition leader Belden Namah has launched legal proceedings against an Australian detention centre for asylum seekers in Manus province of this South Pacific island nation. Namah argues that the detention centre is illegal and the conditions there are inhumane. The move adds further weight to international human rights concerns about Australia’s offshore immigration detention policy and could pave the way for closure of the centre. Following an agreement with Papua New Guinea, the Australian government reopened the detention facility in November last year as part of its widely criticised ‘Pacific Solution’ to increased numbers of asylum seekers arriving by boat in Australian waters. Under the policy, some of those claiming refugee status in Australia are forcibly removed and confined in remote detention camps in the Pacific states Nauru and Papua New Guinea. Namah claims the detention centre at Lombrum naval base on Los Negros Island, next to the main Manus Island of Manus province breaches Section 42 of the Papua New Guinea constitution which states that no person can be detained indefinitely unless they have committed a crime. “We challenge the right of the government to force people seeking refugee status in Australia to enter Papua New Guinea to be illegally and indefinitely detained under inhumane conditions,” Namah said in a public statement. Namah’s move is supported by the governor of the National Capital District, Powes Parkop, and by the shadow minister for petroleum and energy, Francis Potape. The court hearing date is yet to be announced. Dr Graham Thom, spokesperson for Amnesty International in Australia, told IPS the challenge was “very important, particularly in regard to the human rights issues being highlighted, which we are also very concerned about. “The Australian Government is still primarily responsible for these asylum seekers in offshore detention facilities, but Papua New Guinea also has responsibilities for the way these people are being treated,” he said. Papua New Guinea has acceded to the 1951 Refugee Convention with reservations and ratified the Convention on the Rights of the Child, but not yet the Convention against Torture. The Australian Department of Immigration and Citizenship declined to comment. Australia receives a fraction of the total asylum claims in industrialised countries, with 11,488 in 2011, compared to 66,800 in Southern Europe and 74,000 in the United States. During the first half of 2012, Australia received 7,879 asylum applications, while France received 25,361 and Germany 22,477. There has been a mandatory immigration detention policy in Australia since 1992 supported by the Migration Act 1958 which authorises detention of non-citizens without immigration status. In all 7,633 people were incarcerated last year. The majority are found to be genuine refugees. The detention centre in Manus first operated from 2001-2004 under Liberal prime minister John Howard. The current Australian Labour government overturned its previous objections to the forced detention of asylum seekers last year and reintroduced the policy. It now claims that the ‘no advantage’ of offshore detention will dissuade asylum seekers from embarking on hazardous sea journeys and ‘wreck the people smuggling business.’ Last year 259 boats carrying asylum seekers entered Australian waters, an increase from 69 in 2011. In return, Papua New Guinea’s Manus province will receive Australian aid worth eight million dollars. But despite Australia’s claims that detention facilities in the Pacific islands will be part of a “sustainable and effective regional cooperation framework” guided by humanitarian principles and supported by the United Nations Refugee Agency (UNHCR), these remain unilateral initiatives. The UNHCR policy is that “detention as a penalty for illegal entry and/or as a deterrent to seeking asylum” contravenes international human rights laws. It refuses to be party to Australia’s offshore programme. Currently 238 men, women and children from Afghanistan, Pakistan, Iraq, Sri Lanka and Iran are interned on Los Negros. Photographs by detainees show them living behind a high security fence in container huts with no windows, doors or privacy in a tropical climate where temperatures reach 34 degrees C, with 95 percent humidity and inadequate protection against endemic malaria. Earlier this month, the RAC reported a hunger strike in the Manus camp, several cases of self-harm, attempted suicide and an attempted escape by two men. Suicidal behaviour by men and women in immigration detention is 41 and 26 times higher than the national average, according to the Mental Health Council of Australia. In the wake of Namah’s announcement, Amnesty International has announced plans to visit the Manus centre in March to report on Australia’s compliance with international human rights laws. “Foremost, we will be concerned to assess the treatment of children, the situation of families and unaccompanied minors, and the system of asylum processing, which should be happening as quickly as possible,” Thom told IPS. He remains concerned that Australia’s offshore detention policy is at risk of violating Article 31 of the Refugee Convention, which states that people should not be punished on the basis of the way in which they have sought asylum, and Article 33 on non-refoulement, which guards against forcing people to decide to return to countries where their lives may be in danger by providing intolerable conditions of detention. 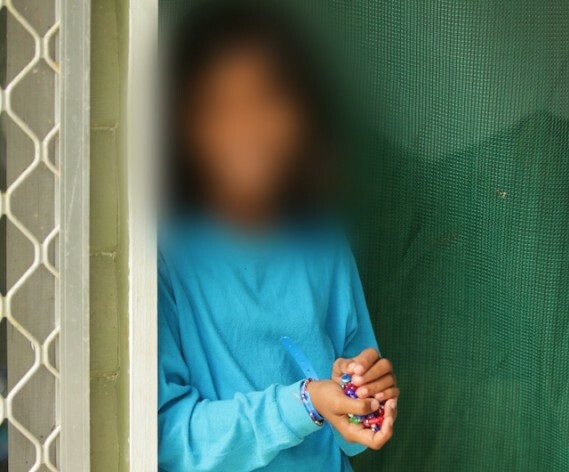 The Australian government has announced that during the last five months 213 Sri Lankan, four Iraqi and two Iranian asylum seekers, most faced with detention on Nauru, “voluntarily” returned to their countries of origin.